The ICWXP Patreon Prize Pack! 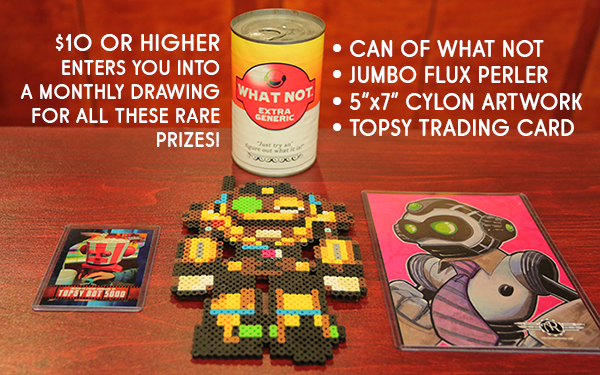 Just to say thanks for all the incredible support here on Patreon, we're now randomly selecting a patron each month at the $10 level or higher to receive a prize pack with four items unavailable anywhere else! We'll be choosing the winner this Friday, so you have four days to up your pledge and earn a chance to win! Maybe this week we can finally hit our goal of $1,000 per video or even blow past it, yeah? We'll announce the first winner this Friday!